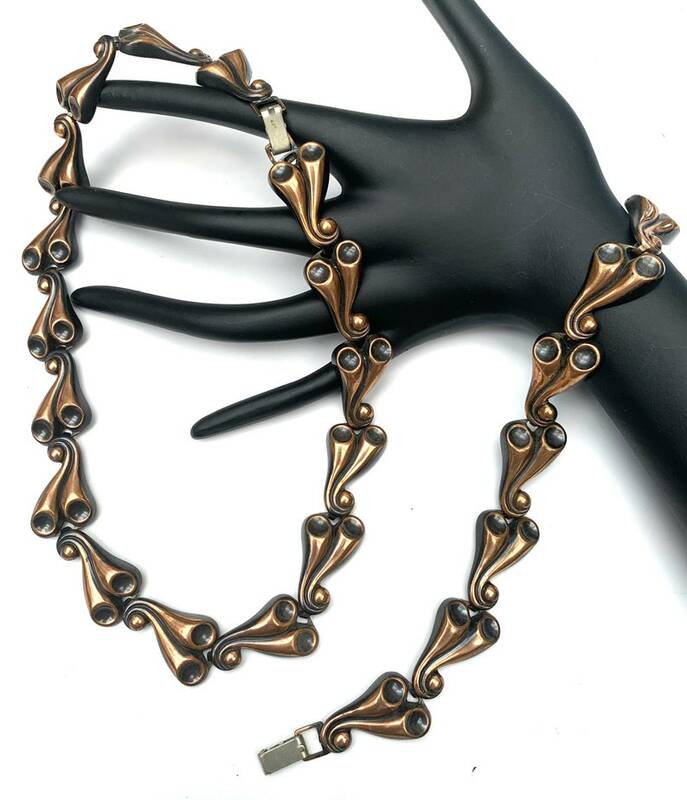 For your consideration is this beautiful Mid Century Copper necklace and bracelet set. The necklace bracelet consist of copper links of an abstract swirl design. the length of the necklace is 17 inches with a fold over clasp.Width is 1/2 inch . The link bracelet is 8 inch with a fold over clasp. the bracelet and necklace is not signed. they are similar in style as Renoir. The necklace and earrings are in beautiful condition with minimum wear consistent with its age.